Florida golf communities number in the hundreds, making the Sunshine State the No. 1 state–by far–for golf communities in the U.S. You’ll find golf communities from across the state here in noted locations such Palm Beach, Stuart, Ocala, Boynton Beach, Jupiter, St. Augustine and others. The state of Florida is located in the southeast United States and is bordered by the Gulf of Mexico to the West, by Alabama and Georgia to the north and by the Atlantic Ocean to the east and by the Straits of Florida to the south. Florida is the third most populous state in the United States. Jacksonville is the largest city and Tallahassee is the state capital. A long peninsula that juts out between the Gulf of Mexico, the Atlantic Ocean and the Straits of Florida, Florida has the longest coastline in the lower 48 states, approximately 1,350 miles, and is the only state that borders both the Gulf of Mexico and the Atlantic Ocean. The climate varies from subtropical in the north to tropical in the south. 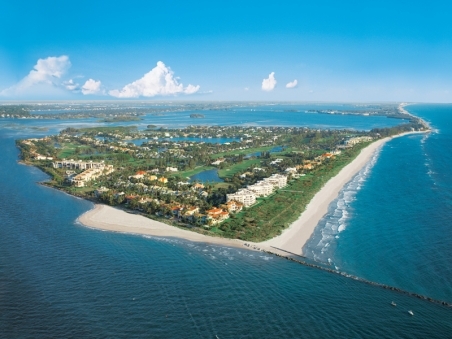 Kiplinger named Florida the No. 10 best state for retirement based on its having no state income tax, no estate tax, no inheritance tax and the winter weather can’t be beat. Florida does have a sales tax of 6%. Besides being popular for vacationers and retirees, Florida is also known for its amusement parks, orange crops and the Kennedy Space Center. Golf Digest ranks Florida the No. 1 state in the U.S. for golf and, in turn, it is the top state for golf communities. Florida golf communities offer more golf layouts (1,042) than any other state and the weather is nearly golf-perfect year round. The state hosts four PGA Tour events at public-access courses: PGA National, Trump National Doral, Innisbrook and Bay Hill which was Arnold Palmer’s home course. An impressive triumvirate of golf’s greatest players–Jack Nicklaus, Tiger Woods and Rory McIlroy – all live there. Other sports that enjoy an international reputation in the Sunshine State include tennis, auto racing and water sports. The climate of the north and central parts of Florida is humid subtropical while south Florida has a tropical savanna climate. A rainy season runs from May through October. Rainfall may often be heavy, but is usually brief. There is no winter as those in New England experience it. Instead, there is a dry season that begins in October goes until late April. Winter is usually dry and sunny. North Florida may suffer a small bit of snow or sleet a couple of times each decade. One of the secrets to Florida’s good weather is the Gulf Stream which runs through the Florida Straits and then turns north off the Florida East Coast. 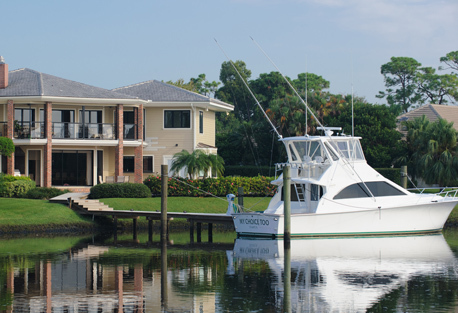 The warmth of the Gulf Stream keeps temperatures moderate a few miles inland–from around Stuart on the east coast to Ft. Myers on the west side–year round, with few extremes in temperature, making Florida golf communities–and the state itself–very popular with retirees and winter vacationers. A gated, member-owned community, Mariner Sands Country Club keeps its residents active and engaged with dramatic architecture and a full range of amenities, including a 28,000-sf clubhouse, two golf courses, a lush Florida landscape, tennis, fitness, spa facilities, nature trails and award-winning dining. 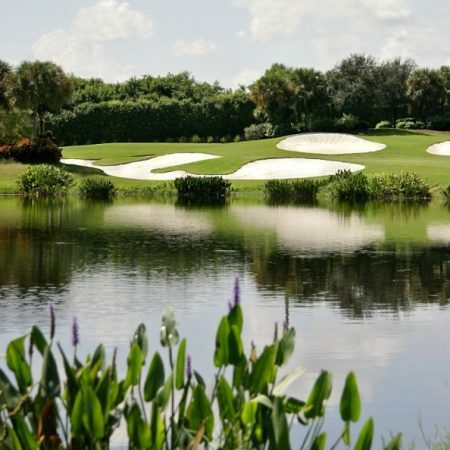 GlenLakes is a private, gated golf club community set in Florida's Nature Coast, encompassing 1,400 acres, and featuring a Ron Garl-designed championship golf course, tennis, pool and inviting neighborhoods of distinctive villas and custom homes.